If you have used 3D printers for some time, you might have they produce an odor when printing. Many consumers are often concerned whether these fumes are harmful when breather. In this article, this concern will be addressed. Before starting any 3D printing job, there are various factors to take into consideration. Among the factors are the environment you are printing your objects in and the type of material you intend to use. Illinois Institute of Technology did a study in 2016 to determine the harmfulness of 3D printing fumes. Their findings indicate that materials like ABS should be used in areas with good ventilation while PLA is safer and can be used in any environment. Sugarcane and maize are amongst the natural substances used to make PLA filament. Therefore, the filament is safe to use because of its natural composition. The fumes produced are somewhat sweet when the filament heats up. Lactide is a non-toxic chemical that is given off when PLA is heated up. Although many experts argue that you can use PLA without the need to be concerned about breathing the fumes, you should still use common sense. Leaving your printer on for extended periods of times, for example, in a bedroom with your baby is just not a good idea. Try to invest in a good air purifier. This will help with the circulation of quality air in your environment. When you print ABS, it produces an odor that is similar to a plastic burn. ABS gives off a chemical called Styrene, which is toxic to the human body. If you breathe the filament’s fumes regularly, you might start to suffer from headaches and fatigue. When printing with ABS, ensure that you have good ventilation in the working area. You are susceptible to breathing in harmful fumes during your day to day activities. These might include the fumes you are aware of as well as those you might not think are harmful. A good example of how you can be breathing in bad fumes is when you walk and cycle through a city/big town. You may know that there will be bad smells in the environment and that some may be toxic, so you would rather avoid them. Still, you might find yourself breathing in bad fumes. For example, when you are driving in your new car and enjoying the ‘new car’ smell. Even though the car smells good and gives you a happy feeling, the air you are breathing is a combination of PVC chemicals and Styrene. Where Do You Use Your 3D Printer? If you need to leave your prints unsupervised for a long time or print regularly, a garage would be the perfect place to put your printer. Simply leave the door or a window open for proper ventilation. If the ventilation is not enough, you can improve it by using a manual fan or getting an air filter. When you place the 3D printer in a garage, you don’t have to be concerned about its noise annoying your family. This is another good place to put your 3D printer given that the room is separate from the house and has a window that you can open during the printing process. You can switch the printer on throughout the day when you are at work or overnight. When you work in your home office while printing objects, it is better to start investing in an air purifier. Try to place the machine close to the window. When your family is interested in 3D printing, the best place to put your print would be none other than the living room. The downside to this is that your loved ones will have to share their space with your printer, including the air they breathe. 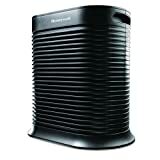 To eliminate the possibility of the fumes affecting your family members, buy a room purifier to filter all the bad particles given off by your printer. The bedroom might be the ideal place to put your 3D printer when you have a 3D printer for kids. However, it comes with some health risks. Ensure the room is well-ventilated remove bad particles from the air that you or your children breathe. Ventilation is even more important when you run your printer overnight. The cheapest ventilation option is leaving your window open. Unfortunately, you might not always be able to do this, e.g. when it’s cold or a lot of bugs get attracted to your printer screen. The printer is also affected by the immediate ambient temperature around it. When the temperature keeps fluctuating, it can influence your prints in a negative way. 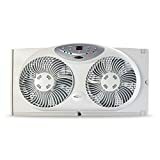 If you live in a small space like an apartment or living room, you will find an air purifier useful. Printing materials like ABS can give off a pungent scent. However, the odor will be barely noticeable when using an air purifier. When looking for an air purifier, choose one that has HEPA filtration and is charcoal activated. These two features allow your purifier to filter small particles in the air, especially chemical compounds, for example, VOC’s. One great benefit of an air purifier is the ability to switch it off and on as you like. For example, you can leave it off during the day when you are away and switch it back on hours before you want to use it. Not only will the purifier absorb the fumes given off by your 3D printer, but it will also remove other smells such stinky eggs or the smell of pets. There are different forms of air extractors, from the wall-mounted to the industrial-size ones usually found in spray booths. There are two things that you’ll have to take note of when you get an extractor. It has to extract the contaminated air. Keeping your printer away from the environment by placing it in an enclosure is, perhaps, the best way to keep harmful fumes from the air you breathe. The downside of this option is that there are not many types of enclosure available on the market as this is a more recent invention. According to user reports, one of the best 3D printer enclosures is the BuzzBox, which host a printer up to H12″xW16″xD11″. The Monoprice Select Mini printer fits perfectly in this enclosure. Moreover, getting the printer inside is not a difficult process. The ventilation implemented by the enclosure is passive. In other words, it does not use any fan to drive the flow of air but instead allows the heat from the printer to determine the air flow. Most modern buildings use ventilation method to get rid of noises that might be created by fans. By putting your printer in an enclosure, your room will have constant humidity and temperature. Therefore, you can be sure the printer will produce quality prints constantly. The printer also becomes more reliable and you’ll not have to worry about failed builds. Even though manufacturers are aware of the fumes their printers produce, only a few have built-in filtration systems as a standard feature. The only printer that comes with true HEPA filtration is the UP BOX+. HEPS filtration is important because it will allow you to filter out really small particles. Most 3D printer manufacturers focus on bringing their printers into your home office instead of the industrial type of printers they focussed on previously. Even though home based 3D printers give off fumes that can be harmful, this should not scare you away from trying 3D printing for yourself. Get yourself an air purifier and you’ll be all set to enjoy 3D printing.